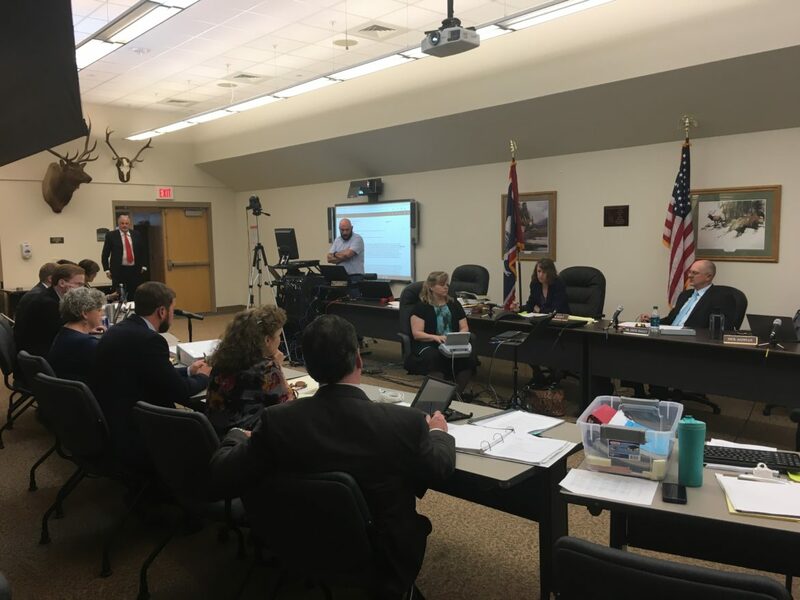 Earlier this summer, a permit for the first new coal mine to open in Wyoming in 50 years was on trial before the state’s Environmental Quality Council, or E.Q.C. 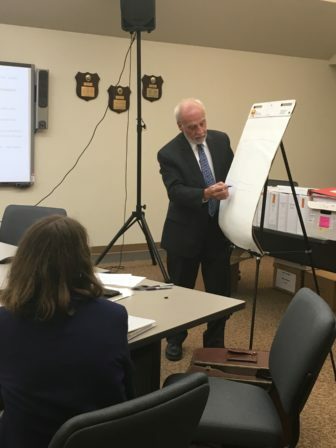 It took a full seven days of hearings, with three groups against the permit, and two groups in favor, testifying before the council in a windowless room in Cheyenne. Now, the council has until August to make their decision. The mine in question is called the Brook Mine. State regulators actually issued a permit for the mine back in December, paving the way for construction to begin. But now that permit is at the center of a controversy. Landowners, environmental groups, and even a coal company are taking issue with it. In 2011, Kentucky-based coal company Ramaco bought land for the new mine north of Sheridan. Back then, they hoped to mine the coal for power generation. Now, with coal-fired power plants shutting down across the country, the company hopes to be at the forefront of new technologies that turn coal into other products. The technology is still in the research phase, but it is an ambitious plan that’s excited many in the state. But when the Department of Environmental Quality, or D.E.Q., issued the permit for public notice last year, the mine quickly got bogged down in legal and regulatory controversy. Here’s why: there was no public hearing before the permit was issued. 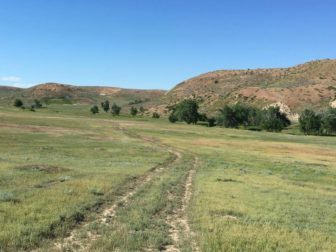 With about 100 people living within a half-mile of the permit boundary, landowners were particularly upset. Sheridan homeowner Brooke Collins was stunned. “Where’s the permit? Where are the people who promised to come talk to us? What’s going on with this?” she said. Her family has lived in the area for generations. Many made their living from coal. In fact, when she first heard about the mine, she was thrilled. But Collins did have questions. She didn’t know how the coal would be used or how a mine might affect her home. “Me in particular I’m concerned about my house crumbling… because of the blast, I’ll be within a quarter of a mile of where they’re blasting,” she said. She added other homeowners are worried about air and water pollution. Past mines in the area have caused well water to be drawn down for mine operation. She said most of these questions could have been answered if Brook Mine held an informal hearing before a permit was issued. But without one, she felt powerless. “But when they don’t, there’s no other avenue. Yup, you can do whatever you want and no one can stop you from doing that,” she said. In addition to landowners, a coal company had concerns as well. Big Horn Coal has surface rights overlapping where Brook has mineral rights. 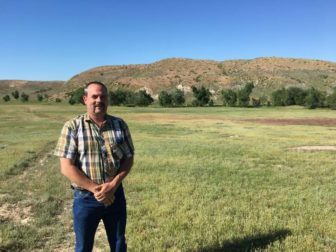 Big Horn is also concerned about damages done to their land as well as the cost of reclamation. 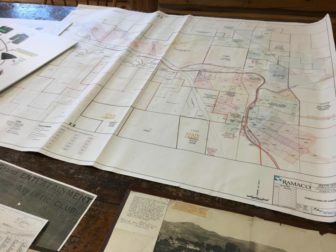 She said all this is particularly important given the Brook Mine is not located in a remote location away from towns, as are coal mines in Gillette. The Brook Mine would border a sizable community along with the scenic Tongue River. So these three groups — the coal company, the environmental group and the landowners — all asked for informal hearings to contest the permit. The D.E.Q. says an informal hearing would not be enough to resolve the issues and instead called a contested-case hearing in front of an independent review board, the E.Q.C. The mine itself is located seven miles north of Sheridan. Brook Mine permit manager Jeff Barron drives over a rocky hill onto the property. There’s open green fields and copper-colored hills with no development in site. Cows are grazing in the distance, huddled under trees for shade. “But right through here is where the mine will start and begin as its permitted today,” Barron said. He said concerns over the permit are overblown and that Brook is already in compliance with the law. After all, the D.E.Q gave them initial approval. “In essence, after they’ve reviewed it, they’ve blessed it and said ‘Yes, it does meet the requirements’,” he said. The mine may have met its legal requirements, but there are still many who feel the company should have gone further and held a public meeting. He believes Brook could provide new skilled positions to the area and stimulate the local economy. Not to mention new tax revenue to the county. In early August, the E.Q.C. will make a recommendation to the D.E.Q. on whether to approve, deny, or amend Brook Mine’s permit application. If the permit is granted, there will still be a three to five year timeframe to get the mine up and running. We want to hear from you! Send us questions and tips about coal production where you live at ask.insideenergy.org.